The lease was signed just two months after the building’s completion. The customer will use Building 15 as a distribution centre, which will benefit from the park’s ideal location for companies operating throughout the Central and Eastern Europe (CEE) region and Austria. CBRE facilitated the transaction. “This transaction is a sign of the continued high demand for industrial space in our park. Customers are looking to take advantage of the park’s accessibility and amenities, as well as the quality of infrastructure that Prologis provides all of its customers,” says Martin Stratov, senior leasing and development manager, Prologis Slovakia. Prologis Park Bratislava currently comprises 16 facilities totalling more than 345,000 square metres of manufacturing and distribution space, and is Prologis’ largest park in the CEE portfolio. It has a build-out potential of an additional 66,000 square metres. The park is located 24 kilometres east of Bratislava’s city centre, 2 kilometres from Senec and 16 kilometres from the international airport. 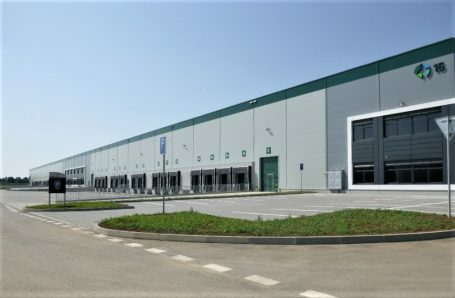 Prologis is the leading provider of distribution facilities in Slovakia with more than 530,000 square metres of logistics and industrial space (as of 31 March, 2017).